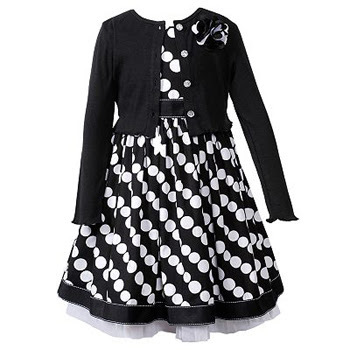 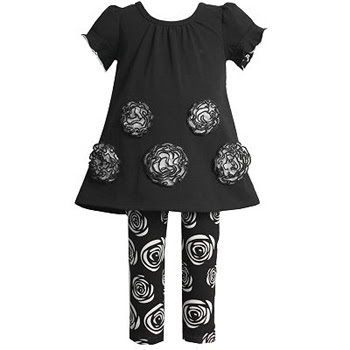 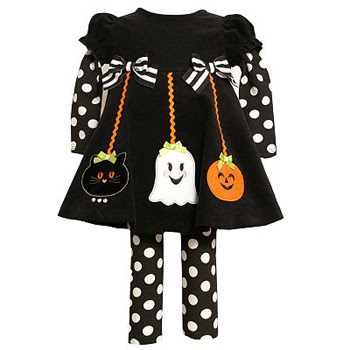 It can be really hard to dress your little girl goth or in a way that stands out, if this is a priority for you or for her. 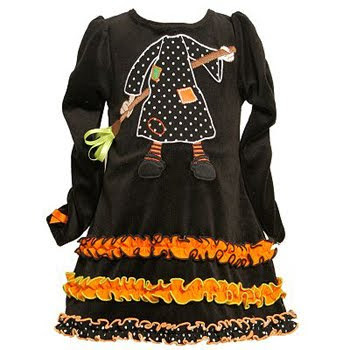 It's not exactly like there's a Hot Topic for toddlers (though we probably should be grateful for this). 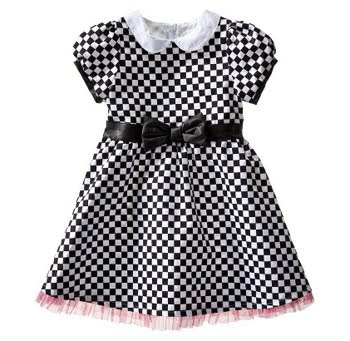 But if you pick carefully and are very selective at the mall, you can find a few nice things to work into your toddler's goth wardrobe. 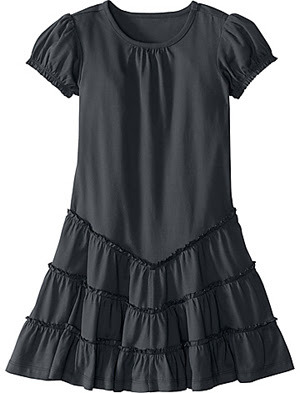 Now just because something is black doesn't mean it's goth, so I've tried to just showcase things that are extra special. 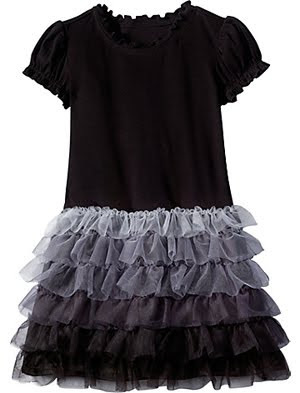 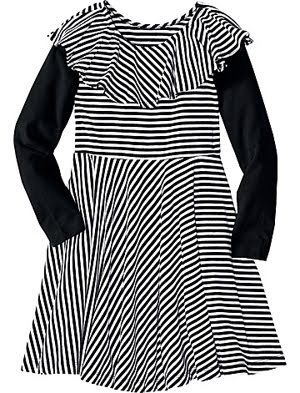 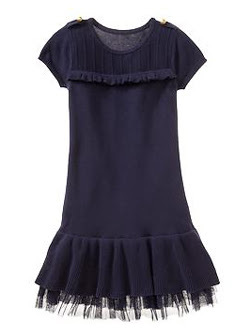 Maybe a ruffle here, or a way with stripes, or something that makes it stand out from just basic black outfits. 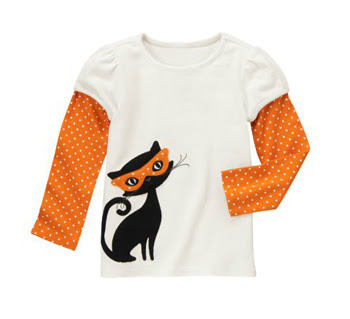 And you can never go wrong with wearing Halloween clothes year-round!